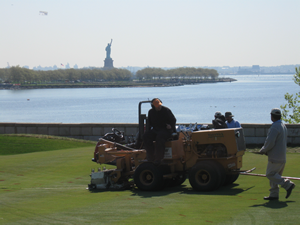 The Water Wick process is a patented method of injecting custom blended sand into sports fields, golf greens, tees and fairways. 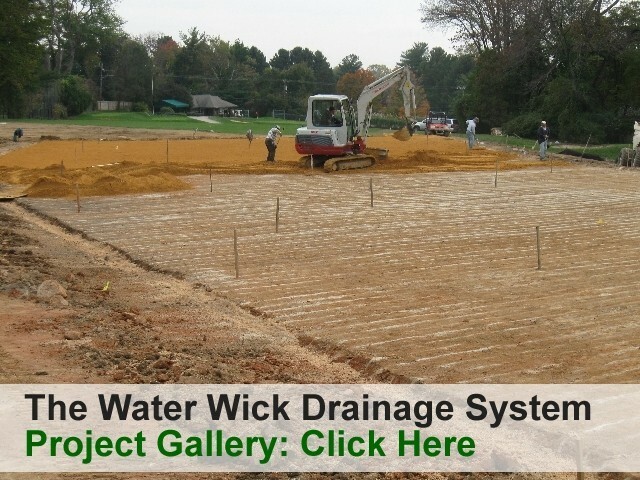 The Water Wick process consists of a 3 blade vibratory plow that passes through the soil leaving a one inch channel at depths from 8" to 12". 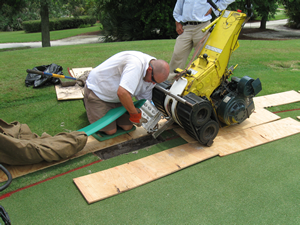 That is filled with the chosen material and creates a French style drain that perks at over 400 inches per hour. 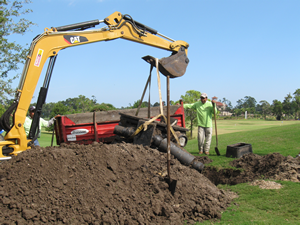 Since March of 2002 Tom Wait has supervised thousands of feet of Water Wick drainage. 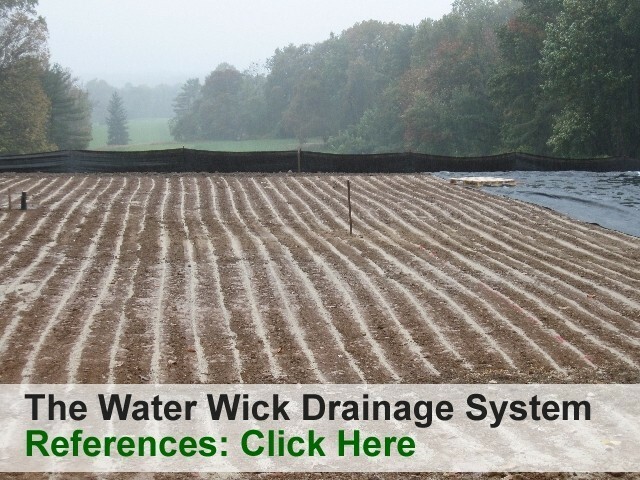 In the past 10 years the Water Wick has a 100% success rate.